More than 200 exhibitors representing 13 states and nine countries, including real-world businesses joining VE businesses, will be exhibiting across the three days of the Youth Business Summit. The National Business Plan Competition (NBPC) showcases some of the best and brightest student leaders and budding entrepreneurs in the country. Teams representing 28 VE companies from around the country have their written business plans and oral presentations judged by industry professionals and educators. 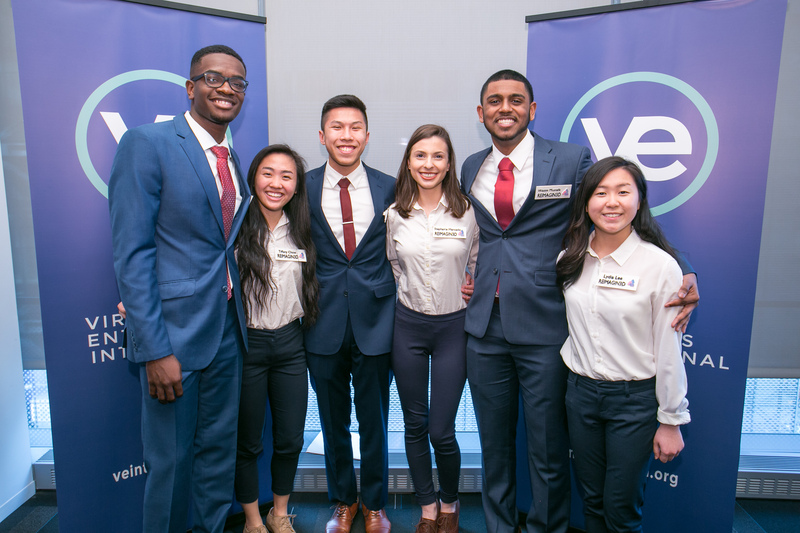 After receiving top honors in local and regional business plan competitions during the school year, these teams have earned the chance to compete in the country’s premiere team-based national business plan competition. Qualifying teams will be contacted by VE with registration details and form. Teams of one-to-two department employees from VE companies deliver oral presentations to inform judges of their department policies and practices as they relate to the strategies, operations, and deliverables for their respective departments. Registration for the 2019 National Finance Competition is now closed. Registration for the 2019 National Human Resources is now closed. Registration for the 2019 National Marketing Competition is now closed. 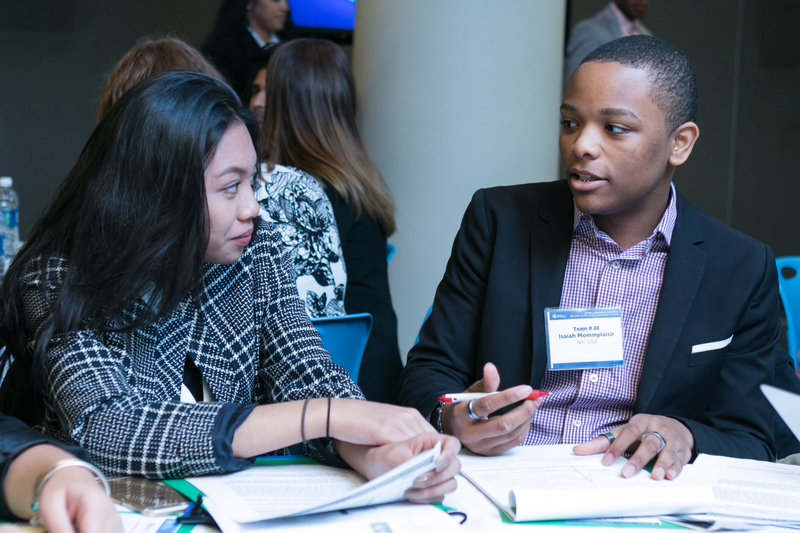 The Global Business Challenge is one of the world’s most unique business-related events for high school students. Students representing different countries work in multinational teams to identify the challenges, opportunities, and risks involved in a global business by examining a real-world, college-level business case study. After 90 minutes of analysis and deliberation, teams present their findings to a panel of judges. Registration for the 2019 Global Business Challenge is now closed. Team Materials and Case Study will be sent to participants in March. The International Trade Exhibition is the largest exhibition of practice businesses in the United States. 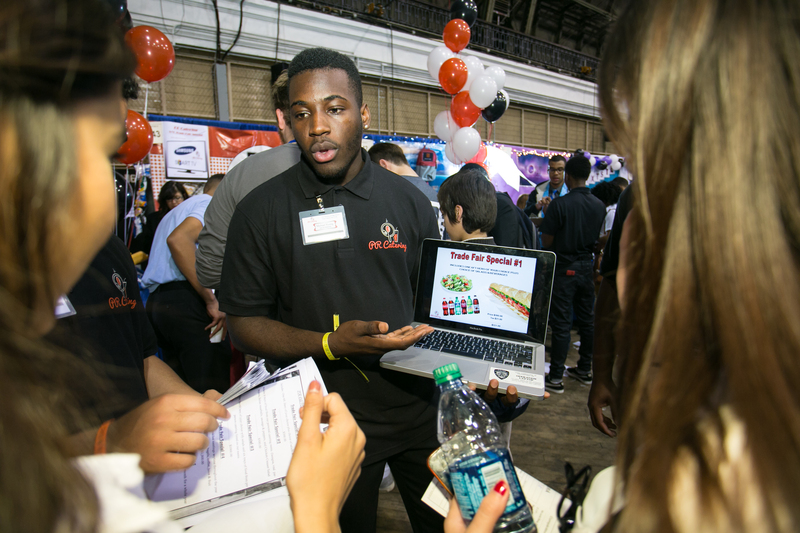 Brings together more than 4,000 students, educators, business leaders, and industry professionals. VE’s largest and most dynamic live event. Every industry from entertainment, to business services, to travel and tourism is on display as more than 200 student businesses from 7 countries exhibit and sell their products and services to consumers and businesses inside and outside of the VE program. Students also compete for Best Booth Design and Best Salesmanship during the show. Registration for the 2019 Youth Business Summit International Trade Show is now live in the Portal. Each company is asked to design and build out a booth at a Virtual Enterprises International Trade Show. The trade show booth allows companies to highlight their product(s) and/or service(s) and to increase sales. All company employees can participate in booth construction and display at the Trade Show. All International Trade Exhibition participants are automatically eligible for and entered in the Best Booth competition. Each Virtual Enterprise Company is asked to design sales materials, such as a company brochure, catalog or promotional materials whose purpose is to promote visibility and improve sales. In order to create effective sales materials, various departments such as Marketing, Sales, and Design must work collaboratively to develop materials that are consistent with the mission and objectives of the company. Registration for the 2019 Sales Materials Competition is now closed. Each Virtual Enterprise Company is asked to sell their product(s) and/or service(s) at the Virtual Enterprises International Trade Show. Sales Pitch is the act of making a complete and successful sale and will be evaluated on various aspects as outlined below. All company sales representatives are invited to participate. All International Trade Exhibition participants are automatically eligible for and entered in the Sales Pitch competition.